Modern American culture finds itself infused with celebrities, typically thought of as Hollywood actors or reality show starlets. Increasingly, however, the moniker of “celebrity” is being applied to potentially unlikely individuals, giving rise to the “Celebrity CEO.” Beginning with a brief examination into the possible purpose and cultural function of the celebrity, this paper will then go on to focus on Oprah Winfrey as a particular type of celebrity CEO who has created, and subsequently embodied, a lifestyle brand. Throughout the course of the paper it will be argued that this strategy presents some advantages to celebrity-endorsed endeavors while presenting some additional vulnerabilities. Finally, the implications of this status as celebrity CEO will be applied to the Oprah Winfrey Network. Oprah Winfrey, an American media figure familiar the world over, certainly fulfills modern definitions of a celebrity: face prominently featured on streaming banners in Chicago’s O’Hare airport, Oprah is associated with events like “Oprah’s Favorite Things” along with projects like Oprah’s Book Club and the Angel Network. Although ubiquitous, if one should doubt her celebrity status, one need only remember that Oprah has also managed to obtain the true mark of the modern star in American culture—the ability to drop her last name and still be recognized. Even Daniel Boorstein, who criticized the current state of celebrity as being devoid of meaning—in the process coining a term that has become colloquially referred to as “famous for being famous” (1962)—might have to reconsider his thoughts after encountering Oprah Winfrey. Ranging from stories of sexual abuse as a child to weight management issues played out in public, Oprah is quite literally known for being well-known: part of her allure stems from her willingness to address the darkest parts of her life with her audience and part of her power comes from fans’ ability to connect with Oprah through these stories. Beginning with a brief background into the nature of the celebrity CEO, this paper will explore the general effects of celebrity CEOs with particular respect to narrative before examining Oprah as a particular iteration of this process. Celebrity CEOs, it will be argued, are not entirely dissimilar from other types of stars when it comes to issues of brand management, although they necessarily possess additional economic and social considerations. 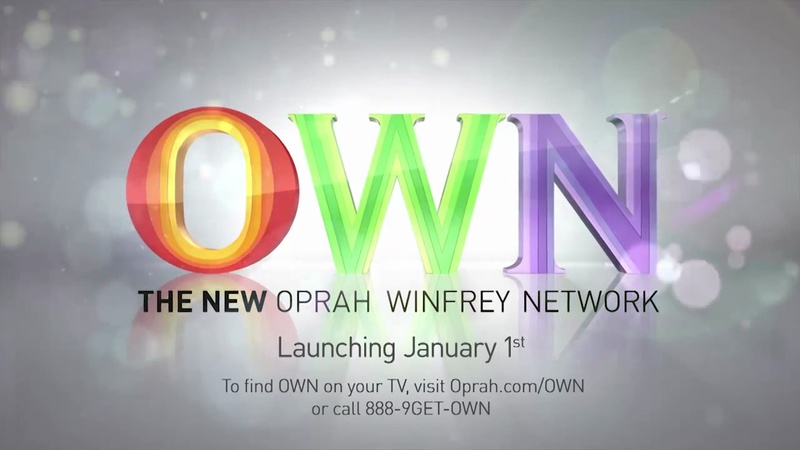 Once the connection between a CEO’s dual identities as executive and individual are established, Oprah’s development of her lifestyle as brand will be briefly discussed as foundational context for an evaluation of the launch of OWN (i.e., the Oprah Winfrey Network). There’s No Business Like Show Business? In an increasingly industrialized world filled with sprawling organizations, CEOs have become somewhat sequestered from the majority of their employees, leading to isolation and alienation (Yalom, 1998). Although undoubtedly recognizable to boards of directors, it appears as though CEOs have become largely disappeared from public view (with notable exceptions as will be discussed below). Directly addressing this issue, the CBS reality television show Undercover Boss facilitates the connection between roles of “CEO” and “person”—although the program likely provides an opportunity to learn about the inner workings of their organization, the arguably larger benefit is the humanization of a corporate suit. Although viewers might cite schadenfreude as a prominent theme, laughing as they see an administrator stumble over a seemingly “simple” task, the net effect (realized or not) is that they most likely begin to connect emotionally with the undercover boss; they become actively invested in the outcome of this somewhat contrived scenario and an unspoken desire to see that the CEO has learned a lesson indicates that they have come to care about this person and his or her company—provided that the CEO is at all likeable. In the course of an hour, audiences are not only exposed to a company that they may or may not have heard of, but also been introduced to a CEO and a handful of employees and witnessed “behind-the-scenes” or “backstage” operations (which might also serve to increase our identification with the company)—all in all, not a bad public relations move for a corporation! Alternatively, we can consider that an appearance on a show like Undercover Boss instantly transforms a CEO into a media figure. Thrust into the public eye, one becomes a minor celebrity through the power of television: even if we had little to no prior interest in the featured boss, social cues prevalent in a mediated society indicate that we should pay attention—a major broadcast network surely would not have chosen to feature someone who was not worthy?—and the mere ability to command copious amounts of attention (momentarily at least) affords a CEO the ability to transcend mundaneness, potentially obtaining the status of a celebrity. Moreover, the Undercover Boss example indicates that while CEOs could potentially demand or cultivate an audience themselves—as suggested by Lois Arbogast in reference to Best Buy CEO Brian Dunn (2010)—they can also be featured or promoted by journalists (Hayward, Rindova, & Pollock, 2004). Although we might ascribe the prominence of CEOs to their role as leaders, we can also consider how humans display a tendency to oversimplify situations in order to understand complex and nebulous narratives. Take, for example, a study conducted by Jones and Harris demonstrating that the prevalent attitudes in a writing sample were attributed to its author: this study represented the first time that the Fundamental Attribution Error had been observed, although it was not immediately labeled as such (1967). In short, the Fundamental Attribution Error posits that observers tend to ignore situational explanations in favor of personality- or dispositional-based ones. In turn, these perceptions of us, once established, can cause us to act in particular ways as we endeavor to maintain our public image. Although the corollary between the Fundamental Attribution Error and the celebrity CEO might not seem apparent at first, we can understand how humans have learned to employ the Fundamental Attribution Error as a type of heuristic—a mental shortcut—in order to simply a intricate situation into manageable (and readily understood) explanations. In the case of the Fundamental Attribution Error, we see an eschewing of situational/environmental factors as we focus on an individual. Similarly, we focus on the actions and exploits of a celebrity CEO, channeling the output of a multidimensional process through a figurehead. As a specific example of this process, the origin story of non-profit group Invisible Children taps into the pervasive myth of Joseph Campbell’s Hero’s Journey with its depiction of young adventurers traveling into a foreign land on a quest to find and cultivate a narrative. Lured by a sense of mystery into East Africa, an unexpected assault by the Lord’s Resistance Army alters the path of the filmmakers, acting as the impetus to enter into a world fraught with danger and uncertainty: the realm of the unknown (Russell, 2007). Prior to this point, Kenya and Sudan had represented a relatively unfortunate, physically demanding, and sometimes boring wilderness for the team but nothing substantial. With the assistance of various guides (one of these a literal guide tasked with driving the group to a nearby refugee camp), Jason Russell, Laren Poole, and Bobby Bailey began to glimpse the conflict that underscores the region as they asked a series of questions of the locals. Wholly consumed by their newfound situation, the filmmakers discovered a little-known world of night commuters and child soldiers in Northern Uganda. This alien setting, which “disgusted and inspired,” also presented an opportunity for transformation as filmmakers shed their naïveté and were reborn as crusaders against witnessed injustice (Invisible Children, 2010). Having found their story—the ultimate prize sought at the outset of the journey—the founders of Invisible Children extricated themselves in order to return to their homeland as masters of the unknown and share their insights with their community. The documentarians themselves echo this sentiment in their first production, Invisible Children: Rough Cut, through a voiceover that proclaims that the group came to Africa as novices but hoped to “leave as warriors” (Bailey, Poole, & Russell, 2004). While never explicitly acknowledged as a tool, it seems plausible that self-described storytellers such as Jason, Laren, and Bobby would have integrated successful elements of narrative into their production. Although the real-life nature of Invisible Children’s origin precludes an exact overlay with the steps of Campbell’s monomyth, it is easy to imagine that the retelling of the tale draws some of its power (consciously or unconsciously) from this established structure. For some, the intertwining of narrative and Invisible Children might have seemed inevitable for an organization created by filmmakers/storytellers, born out of a documentary, and focused on recounting a tale of adversity in Uganda. Nevertheless, through the mythic nature of Invisible Children’s origin story, the organization’s founders are made into celebrity CEOs, performing a similar function as those individuals featured on Undercover Boss as the surrounding narrative is rewritten to feature a chosen few as its stars. Celebrity CEOs, then, can be understood to act as a focal point for the narratives that surround and pervade a company, locking the perceptions of the organization and individual into a symbiotic (or mutually destructive) relationship as sentiments accrued in one role migrate to another. In the case of Invisible Children, the organization’s founders were able to leverage the mystique associated with their experience into a full-fledged movement with their stories at its origin. Structuring the message as a narrative helps to convey complex ideas in a relatable format, making sense out of a potentially overwhelming wave of information. Personal narratives, however, provide a relatively simple path that cuts through the chaos and allows audiences to focus. Preachers, for example, might utilize a parable to illustrate a point, giving audiences something familiar to relate to while simultaneously introducing a new idea. In a larger sense, we can also consider how the first iterations of narrative, myths and legends, informed the populace about the rules of a world (e.g., why the sun rose or how humans had come to be) in a process that mirrors functions of advertising or identity construction via celebrity culture; although many have now come to accept scientific explanations in lieu of (or possibly in conjunction with) these tales, the fact remains that stories can serve to develop cognitive scaffolding as we evaluate foreign concepts. This educational element, similar to the one existent in the concept of play, allows individuals to learn intricate lessons without any overt effort. Narrative structure provides a guide for people to follow as they absorb additional information, easing the progression of learning. However, when considering this process, it is important to realize that narrative, in choosing which facts to highlight, also chooses which facts to exclude from a story, which might be just as significant. For some, the process of inclusion and exclusion might seem oddly similar to the creation (or recording) of history; certain facts become relevant and serve to shape our perception of an event while others fade into obscurity. If we were to take a second, however, and think about this notion, we would realize that narratives often served as the first oral histories for a given population. Individuals entrusted with this position in these societies were the “keepers of information,” whose ability to recount narrative shaped their community’s collective memory, and, thus, a key part of the community’s combined sense of identity (Eyerman, 2004; Williams, 2001). Performing a similar role as the oral historians of the past, modern society’s sense of shared knowledge can be understood to be influenced by the commercial storytelling that is branding (Twitchell, 2004)—this concept gains additional importance as we think about modern celebrities who are, along with handlers and public relations agents, in charge of their brand and understand celebrity CEO’s as an extension of this. The ramifications of branding’s ability to affect American culture in this manner is profound: with its capacity to color perceptions, branding can influence the communal pool that forms the basis for social norms and cultural capital. Stories, it seems, not only allow us to construct a framework through which we understand our world, but also afford us the ability to share our interpretations with others (Short, et al., 1994). Indeed, author Stephen Greenblatt mentions that a sort of compulsiveness exists that is intrinsic to storytelling (1991). The function, then, of narrative is not only to shape a community, but also to create (or at least maintain) it. The process of sharing not only relays information—an important function, to be sure—but also serves to cultivate the bonds between source and receiver. Sharing represents an important component of storytelling as it facilitates a sense of community with a successful story anchoring an individual’s commitment to a community, strengthening the overall cause. As previously discussed, Oprah has managed to use the power of storytelling, often recounting stories of a deeply personal nature, in order to develop her brand and her audience (a form of community). For example, Oprah’s rather public weight battles offer one point of connection with her viewers: due to the show’s longevity, audiences have been able to readily document Oprah’s weight gains and losses. Although the same sort of scrutiny has plagued female celebrities for years—Calista Flockhart, Jennifer Love Hewitt, Ricki Lake, Carnie Wilson, and Jessica Simpson come to mind—Oprah managed to benefit from the potentially negative discussion by addressing it directly. In addition to deflating the issue, Oprah’s weight struggles allowed her audience to sympathize with her, strengthening their connection to both Oprah and her brand as trainer Bob Greene was featured on The Oprah Winfrey Show and in books. Consistent with her overall message, Oprah did not advocate for a diet but instead argued for a fundamental change in lifestyle. Further strengthening the bonds between her brand and her personal life, Oprah also publically trained for a marathon in 1994—in this scenario, the brand espoused by The Oprah Winfrey Show is literally embodied by Oprah herself. With this act, we see the synergy between goodwill accrued by Oprah as a media figure and the struggle of a real person to obtain a goal—cheering for Oprah in one capacity naturally led viewers to support her in her other endeavor. Given Oprah’s strong presence as a personality and as a media mogul, the talk show host seems ripe for consideration as a celebrity CEO. Even ignoring the connection between business and self latent in the name of Oprah’s production company, Harpo (i.e., Oprah spelled backward), Oprah appears to have carved out a niche for herself as a lifestyle brand that promotes self-transformation. Fitting neatly into the ongoing lives of its supporters, Oprah promotes a brand that is anchored to her public perception that, despite presentation in multiple media channels (e.g., television talk show, online website and message boards, magazine, and self-help books), retains consistent messaging, which allows each experience to compliment, but not compete with, the others. As further evidence of the connection between Oprah’s personal lifestyle, we can reference the much ballyhooed “Favorite Things” episode of The Oprah Winfrey Show. Although possibly driven simply by a desire to share her favorite things, the episode has become a production unto itself, rooted in emotionality and vividness while circumventing logical and rational thinking. The spectacle of the “Favorite Things” episode uses vividness and sensationalism to indicate that the featured products are emotionally interesting, image provoking, and proximate (Sherer & Rogers, 1984; Nesbit & Ross, 1980)—cues that seem salient when discussing media-saturated audiences notorious for variable attention spans and interest. Over the years, in-studio audiences have been groomed into a carefully controlled state of histrionics as they gush about whatever objects are placed in front of them while lauding Oprah’s charity. Although participants of these parties most likely do not stop to consider the processes at work, the creation and careful cultivation of affective ties helps to bind them to Oprah and her lifestyle. Ultimately, although the audience is given free gifts (ignoring the taxes that must be paid), one might argue that individuals do in fact pay a price for these goods: in exchange for material gain, the audience offers up its ability as a consumer bloc to dictate trends and value. Adding support to this idea, we can consider the successful implementation of Oprah’s Book Club as another way in which Oprah was able to largely influence American culture through her lifestyle as brand. Using The Oprah Winfrey Show as a platform, Oprah was able to express her approval of a wide range of books (and reading in general). Although Oprah’s Book Club likely sparked a number of book clubs around the country, one might question how many of these were simply waiting, with baited breath, for Oprah to announce her next selection—instead of seeking out books that were personally meaningful, viewers may have abdicated this power to Oprah as she assumed the role of cultural dictator. Oprah’s Book Club also demonstrated one of the potential pitfalls of connecting one’s personal life to one’s professional presence: in 2005, Oprah’s support of James Frey’s A Million Little Pieces caused her personal integrity to be questioned as the selection of the Book Club became suspect (Koehn, Helms, Miller, Wilcox, & Rachel, 2009). Although Oprah most likely could not have known that Frey’s work was a fabrication, her pick, and subsequent support on Larry King Live, caused minor damage to reputation due to her personal involvement in the matter. Continuing the deployment of her lifestyle brand, Oprah plans to debut the Oprah Winfrey Network in 2011. Described by Winfrey as “A channel where people will see themselves…see who they are through the lives of others—in a way real way that enriches them,” one can sense the immediate connection to her existing brand (ABC News, 2010). Building off of her phrase “Live your best life” (a sentiment remarkably similar to, but also strikingly different in tone from, the Army’s “Be all you can be”), the message is clear: the Oprah Winfrey Network, like all of Oprah’s other media ventures is about the power and process of self-transformation. Plagued by delays, the Oprah Winfrey Network has also run afoul of controversy prior to its launch. In the run up to its opening, rumors swirled about the possible rigging of votes in the “Search for the Next TV Star” contest (Walker, 2010). Given Oprah’s very obvious connection to the new network, we can conjecture that the same negative publicity that applied to the James Frey incident would likely pertain to this example—even if executives were completely innocent of the allegations, charges of cheating or misconduct had to be addressed in order to avoid damage to the unborn network and Oprah. Having chosen to create a brand that centers around herself, Oprah has inextricably tied herself to the fortunes of the new network; in exchange for using her name to lend the new channel credence, Oprah runs the risk of personal devaluation should the venture fail. Although Oprah might have accrued enough goodwill to survive even the most devastating blow, any sort of scandal will undoubtedly reflect poorly upon Oprah and any future ventures. In a somewhat less flattering light, the MTV show Punk’d also performed a similar function for celebrities. Similar to the candid camera shows of generations prior, the Ashton Kutcher vehicle exposed the “true” face of stars in a process that could endear them to the public. More often, however, viewers were able to have a laugh at the celebrities’ expense (with Justin Timberlake being a memorable example) and often exposing them, in Frankie Muniz’s case, as insufferable human beings. I would also add that Oprah’s choice to relay her story of success despite her trials growing up also affects culture in a couple of important ways. On the surface level, we can see how Oprah’s story can be considered inspirational for those who would wish to follow in her footsteps. Yet, at the same time, Oprah’s background also serves to raise the bar for suffering as audiences question their right to complain as they compare their personal stories to Oprah’s. Although Oprah’s personality lends itself to the aspiration/inspirational interpretation, a larger trend of celebrity/mediated suffering might be that individuals are less inclined to realize the significance of their own situation since it is “not as bad” as what they see on television. Oprah’s creation of the Angel Network, involvement with Oprah’s Big Give and the creation of the Leadership Academy also work to support this image of Oprah. Interestingly, Oprah was able to avert a major crisis by responding to the situation through public statements and a follow-up interview with author James Frey. Again possibly working as a spokesperson for larger sentiments, Oprah seemed to win back her audience by conveying her outrage and being duped—a stance likely held by many of the people who had picked up the book at the recommendation of Oprah. In some ways, Oprah became the champion of the people as she confronted the author and the publisher; audience members could rally around Oprah and her power as a media personality allowed her to deliver results that individual viewers could not have hoped to achieve on their own. It might also be noted that Oprah’s Leadership Academy (see previous footnote) also suffered from allegations of misconduct that also served to cast similar doubt on Oprah’s credibility. In their article, “Believing One’s Own Press: The Causes and Consequences of CEO Celebrity,” Hayward et al. discuss the conflation of companies and their celebrity leaders by journalists. Although it should be noted that the authors focus primarily on journalists, we can understand the tendency to oversimplify situations in order to understand complex and nebulous narratives. Take, for example, a study conducted by Jones and Harris in 1967 demonstrating that the prevalent attitudes in a writing sample were attributed to its author: this study represented the first time that the Fundamental Attribution Error had been observed (although it was not immediately labeled as such). In short, the Fundamental Attribution Error posits that observers tend to ignore situational explanations in favor of personality- or dispositional-based ones. In turn, these perceptions of us, once established, can cause us to act in particular ways as we endeavor to maintain our public image. Although the corollary between the Fundamental Attribution Error and the celebrity CEO might not seem apparent at first, we can understand how humans have learned to employ the Fundamental Attribution Error as a type of heuristic—a mental shortcut—in order to simply a intricate situation into manageable (and readily understood) explanations. In the case of the Fundamental Attribution Error, we see an eschewing of situational/environmental factors as we focus on an individual. Similarly, we focus on the actions and exploits of a celebrity CEO, channeling the output of a multidimensional process through a figurehead. Moreover, we can also use the lens provided by the Fundamental Attribution error to better understand the Hayward’s connections between hubristic actions of celebrity CEOs, image maintenance, and ego. Hayward, M. L., Rindova, V. P., & Pollock, T. G. (2204). Believing One’s Own Press: The Causes and Consequences of CEO Celebrity. Strategic Management Journal , 637-653.